In creating the first collection of J.FitzPatrick footwear, the idea of harmonising the characteristic traits of English, Italian and French footwear served as the foundation to the direction of design and creation. Having loved an element of manufacturing from each country’s process, Justin wanted to somehow blend all three in order to create a shoe that he felt did not yet exist in the marketplace. This sole came in the same thickness of your standard sole used for GY welted shoes, but was treated (of course the creators will never say how, as not to give the secret away) in order to give it a flexible feel. With this sole, Justin was able to make the shoes in the Goodyear welted construction but maintain a decent level of flexibility. This flexibility ensured that the shoes would allow for an easier break-in period rather than a long, drawn out period of stiffness found in many of your typical goodyear welted shoes. 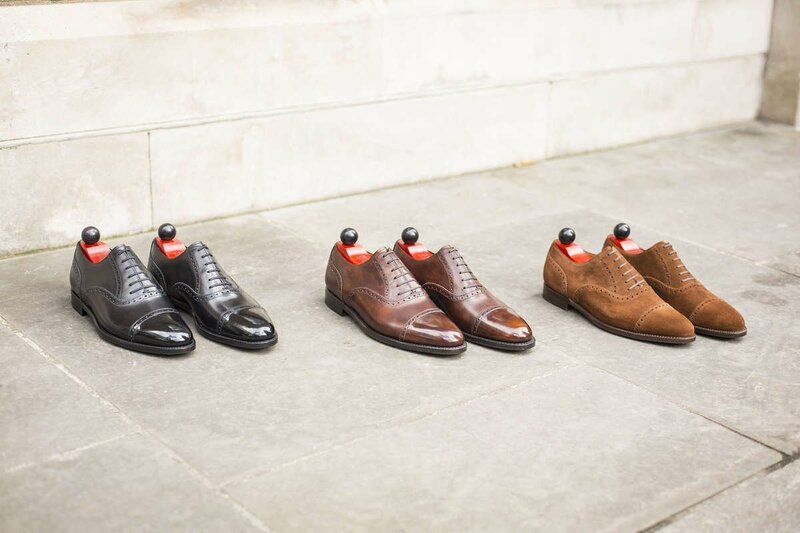 Playing on the idea of ‘classic with a modern twist,’ the foundation of design was to somehow incorporate British classicism, Italian comfort and French flair into each J.FitzPatrick shoe. 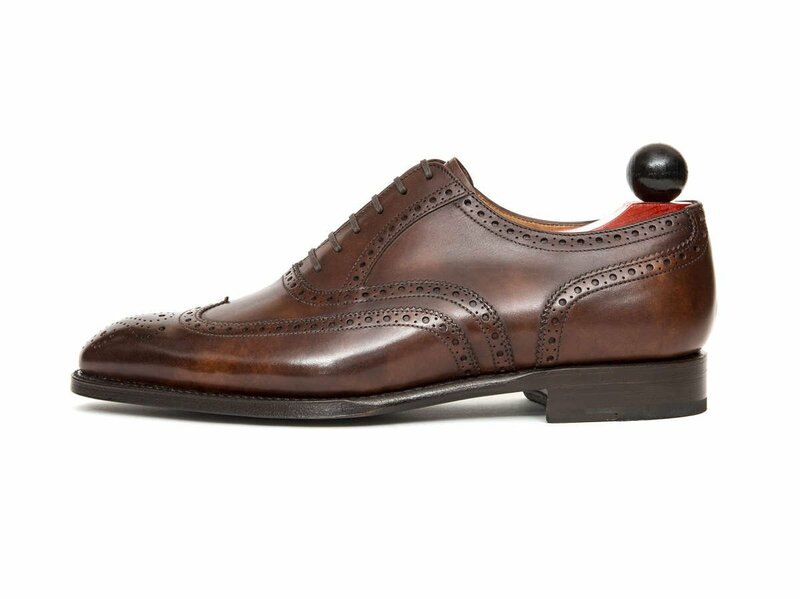 Paul Smith’s shoes served as an initial inspiration for his execution of this same idea, but the vision of J.FitzPatrick Footwear was to look more substantial looking. 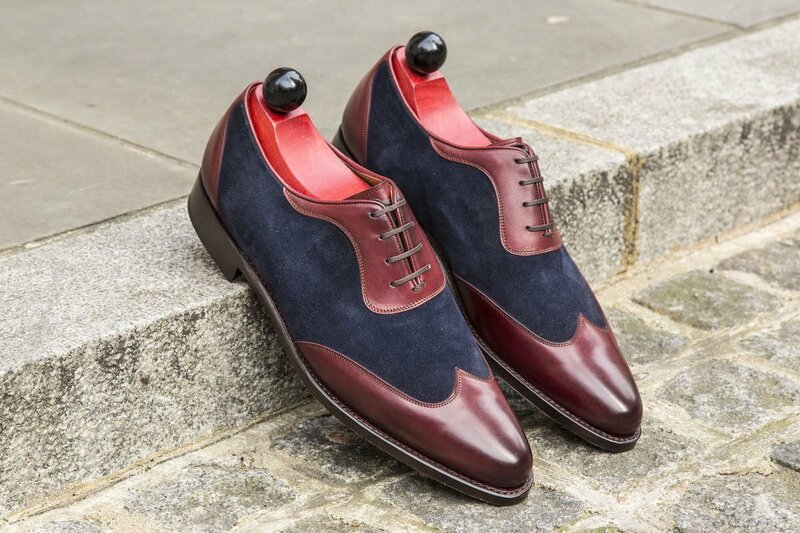 It was not until Justin had apprenticed with Stefano Bemer (a legendary bespoke shoemaker from Florence, Italy) that he truly understood how he could go about doing this as Stefano seemed to have already mastered it. Having spent nearly a year in the care of Stefano and being surrounded by his beautiful shoes, Justin’s eyes had been truly opened to understanding the endless possibilities that could be achieved in shoe design. With that, Justin was able to start building a collection of his own, incorporating the ethos of these 3 country’s shoemaking techniques while at the same time adding his own personal details to each and every shoe. Fit was very important to Justin as he knew that the success of J.FitzPatrick Footwear would rely heavily on the comfort and fit of the shoes. Shape was another factor that was held in high regard and with those in mind Justin knew that he needed to create his lasts off the base of a bespoke last. He felt that doing this would ultimately ensure great fit across the J.FitzPatrick range as well as give him shoes that possessed a very-defined shape. Justin happened to have 2 bespoke lasts, one of which was made by him while at Stefano Bemer’s and another that was made for him by Tony Gaziano of Gaziano & Girling. Tony, being a master last maker, made Justin a last that fit very well and with Tony’s permission, Justin decided that he would base the fit of his J.FitzPatrick lasts on the fit of that bespoke last. 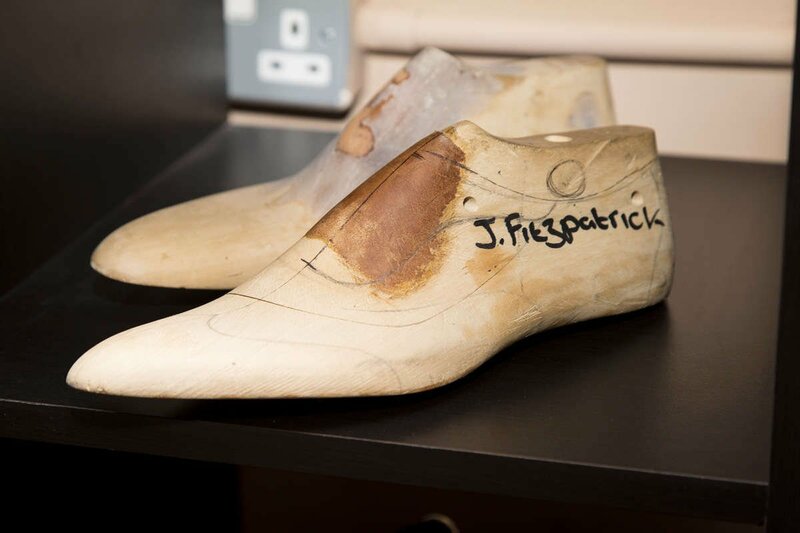 He therefore took it to the last makers in Spain (where J.FitzPatrick’s lasts are made) and asked them to create a new last using the shape of the bespoke last but grading it to fit a regular size foot. He did just that, ran a couple of trial tests and eventually got the lasts up to a spec that provided great fit. To then create every other last in the collection, Justin took the body of the original last and simply added a new toe shape. By not changing the body of the subsequent lasts, this ensured that the fit would be uniform across all of the lasts of the J.FitzPatrick collection. With the shoes complete and the collection ready to go live, there was one last thing that needed to be checked off of the list, and that was the names of each model of shoe. Wanting to represent his heritage as well as those whom helped along the way, Justin decided to name the shoes after the neighbourhoods and street names from his hometown of Seattle, Washington - USA.